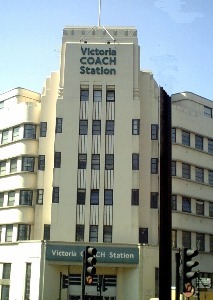 This has a 70' tower with Art Deco lighting. 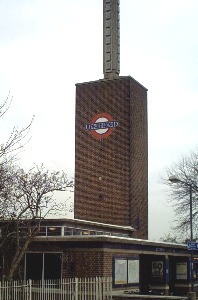 Designed by Wallis Gilbert & Partners in 1932. 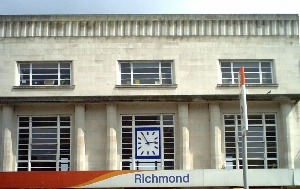 Rebuilt in 1937 its facade includes a square clock.